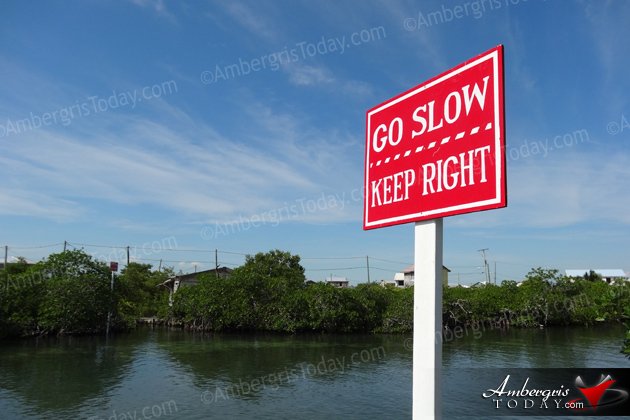 Last week, four large and 12 small markers were placed along the Boca del Rio Lagoon entrance by the bridge and along the lagoon side to properly identify and inform mariners of areas that are designated “No Wake Zones”. 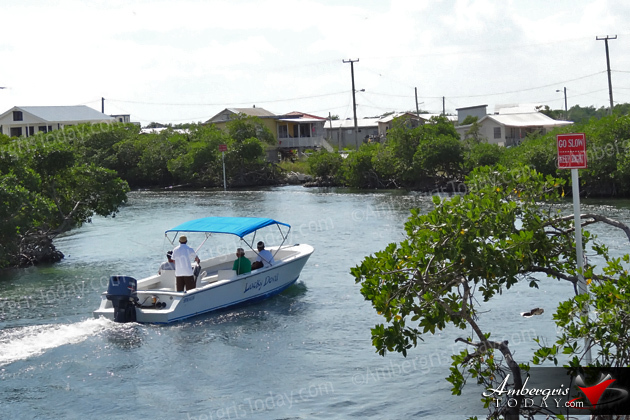 The markers were put in place by the Belize Port Authority, San Pedro Town Council and the San Pedro Tour Guide Association with the assistance of Tuff-E-Nuff. 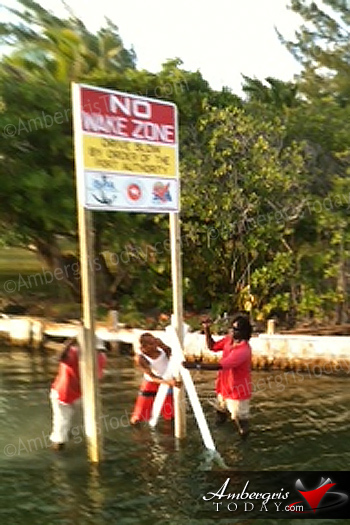 The markers are there so that boaters can know which areas “Go Slow/No Wake Zones”. 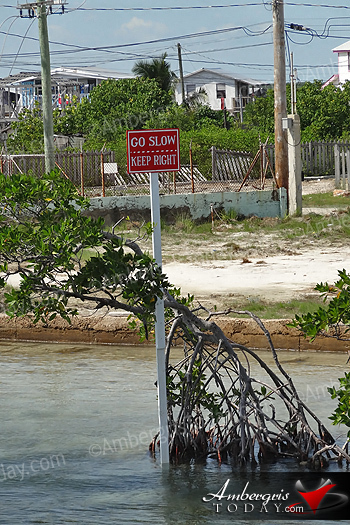 Town authorities urge marine commuters to take note of these signs and designated areas and to slow down in order to protect nearby mangroves and be weary of people who live in the area and others who use the lagoon passageway.